Complement the beauty of your Leica SL, Leica Q, Canon EOS 5D MK III, Nikon D3300, or a variety of similarly sized cameras with the luxurious black/black Heidelberg Camera Bag from Oberwerth. The Heidelberg is designed to store, transport and protect one camera body, two lenses, related accessories, a tablet, and up to a 13" laptop. Gear is protected and organized by a removable, padded, fleece-lined insert with dividers. Oberwerth's insert employs an integrated air cushion between layers of fleece and Cordura nylon. The top of the insert has two, leather pockets for storing memory cards. Your Heidelberg Camera Bag features dual, exterior, side pockets, inner, zippered pocket, and two, slip-in front accessory pockets that are covered by a snap-closure front flap. Rain diverting gutter flaps help protect the bag from inclement weather. The bag is carried by the wide, adjustable, padded shoulder strap. For strength, durability and aesthetics, the bag is made of black leather exterior with black leather flap and accents. The Heidelberg is handmade in Germany. For improved weather and shock protection the insert is made of padded Cordura 150D. The insert is lined with light gray fleece to help you locate gear and prevent it from being scratched. To reduce weight, and provide added cushioning the insert walls and pads have sealed air-filled chambers. 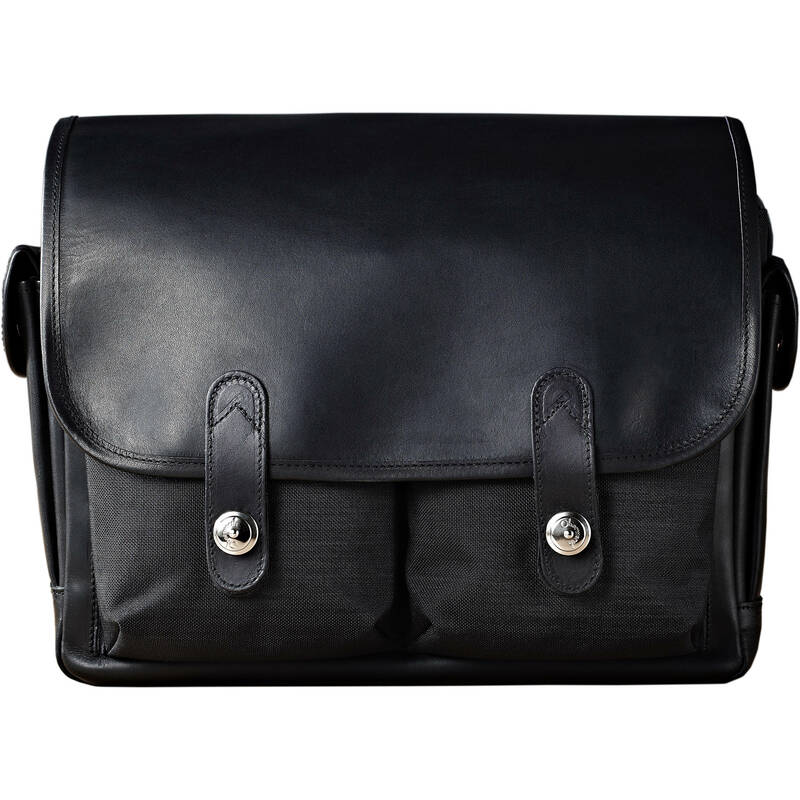 Use as a well-padded camera bag with the included insert or as a small messenger bag with the insert removed. Oberwerth bags feature natural, dyed, vegetable-tanned cow hide. These processes produce a unique, pleasing uneven patina - a characteristic shared with other high-end leather items. Box Dimensions (LxWxH) 17.32 x 14.56 x 8.26"